George Kennedy, the hulking, tough-guy character actor who won an Academy Award for his portrayal of a savage chain-gang convict in the 1960s classic "Cool Hand Luke," has died. 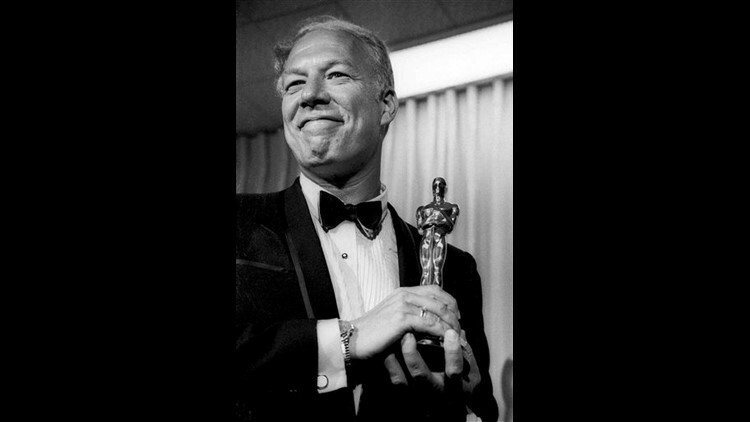 LOS ANGELES (AP) — George Kennedy, the hulking, tough-guy character actor who won an Academy Award for his portrayal of a savage chain-gang convict in the 1960s classic "Cool Hand Luke," has died. His grandson Cory Schenkel says Kennedy died on Sunday morning of old age in Boise, Idaho. He was 91. He had undergone emergency triple bypass surgery in 2002. That same year, he and his late wife moved to Idaho to be closer to their daughter and her family, though he still was involved in occasional film projects. His biggest acting achievement came in "Cool Hand Luke," a 1967 film about a rebellious war hero played by Paul Newman who is bent on bucking the system as a prisoner on a Southern chain gang. Its theme of rebelling against authority and the establishment helped make it one of the most important films of the tumultuous 1960s. Kennedy played the role of Dragline, the chain-gang boss who goes from Luke's No. 1 nemesis to his biggest disciple as Newman's character takes on folk hero status among fellow inmates. The movie garnered four Academy Award nominations, and Kennedy was named best supporting actor. Newman and Kennedy provided a spectacular one-two punch — Luke as the reticent anti-hero, Dragline as an illiterate brute. They shared several memorable scenes, including one in which Kennedy's character wins a bet by getting Luke to eat 50 eggs in an hour. After the critical and commercial success of "Cool Hand Luke," Kennedy carved out a niche as one of Hollywood's most recognizable supporting actors. He had parts in several action flicks in the 1970s, played Leslie Nielsen's sidekick in the "Naked Gun" spoofs and was J.R. Ewing's business rival in the final seasons of "Dallas." One of his strongest supporting roles was in the hit 1970 film "Airport," which spurred the run of 1970s disaster pictures. Kennedy played Joe Patroni, a no-nonsense, cigar-chomping troubleshooter who stubbornly guides a jetliner stuck on a snow-clogged runway out of harm's way. The film spawned several sequels (Kennedy was in all of them) and landed Kennedy a Golden Globe nomination. Kennedy said his acting ambitions were cemented when he was a young child. "I remember listening to a radio program when I was young and it made me feel good and I remember telling my mom that I wanted to make people feel the way this radio program made me feel," Kennedy said in 1995. "I got some great breaks, and I wound up being an actor." His film career began to take flight in the early 1960s. He starred in 1963's "Charade," a whodunit that features Kennedy, Cary Grant, James Coburn and Walter Matthau seeking out the $250,000 they suspect was left behind by Audrey Hepburn's dead husband. His other acting credits in the 1960s included "The Dirty Dozen" and "Guns of the Magnificent Seven." Kennedy once called "Charade" the favorite movie in which he appeared. "It had Cary Grant, Audrey Hepburn, music by Henry Mancini; it was shot entirely in Paris," he said in 1995. "I have nothing but wonderful memories." Kennedy became regular face in action movies in the 1970s after the success of "Airport," including "Earthquake" and "Death on the Nile." During this time he also starred in the CBS crime show "The Blue Knight" where he played a Los Angeles cop. He made several film and television appearances in the early and mid-1980s, but few were successful. He turned to comedic roles in the 1980s and 1990s, the most memorable being the three "Naked Gun" films. Among his later credits was a small role in Wim Wenders' 2005 film, "Don't Come Knocking." Kennedy's last on-screen role was in the 2014 remake of "The Gambler," which starred Mark Wahlberg. Kennedy was born in New York in 1925. He started acting at the age of 2 when he joined a touring company production of "Bringing up Father." Five years later, he became a disc jockey with a kids radio show. He enlisted in the Army at 17 and served in World War II, opening the first Army Information Office that provided technical assistance to films and TV shows. Kennedy spent 16 years in the Army and left as a captain. After his Army stint, Kennedy made his television debut in "The Phil Silvers Show" in 1955 and had a variety of guest appearances in the Westerns "Have Gun, Will Travel," ''Cheyenne" and "Gunsmoke." Kennedy, an avid reader, also dabbled in writing and published a couple of murder mysteries. Schenkel remembered sitting in on an autograph session in London with his grandfather. "I sat behind him for hours that day watching the hundreds of fans in line waiting to meet my grandpa," Schenkel recalled. "At the end of the day we sat in our hotel room eating room service and he said to me, 'Seeing all those people I was able to bring a little enjoyment and happiness into their life — That is why I did it.'" In later years, Kennedy became an advocate for adopted children. He had four adopted children, including his granddaughter Taylor, whose mother, also adopted by Kennedy, had become addicted to drugs and alcohol. "Don't let the fact that you're 77 or 70 get in your way. Don't let the fact that you're a single parent and you want to adopt get in your way," Kennedy said in a Fox interview in 2002. "That kid, some place right now, cold and wet, needs somebody to say, "I love you, kid, good night.'" Associated Press writer Josh Hoffner contributed to this report.